The site www.whocall.info enables to search for unlisted mobile numbers from all over the world. 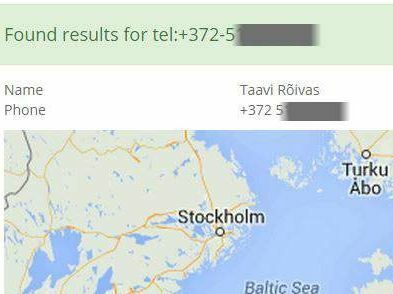 One can search by phone numbers: entering a number with the international dialing code (such as 372 in Estonia) will prompt the programme to produce the name of the owner of the number. The article’s author Piret Reiljan said that she found many numbers of high-ranking politicians, including Estonian prime minister Mr Taavi Rõivas. The site does not perform the opposite search: it does not provide numbers of persons if one searches by name, so one has to previously know the number to get the owner’s name. Even so, it is scary to imagine that the search could also be made to work the other way around. It is not known how all these personal number and names might be used. All we know is that it provides numbers, which have been unlisted by their owners and which are not published anywhere. The owner of the website is not known. The site itself does not provide any contact information besides the name Whocall Ltd.
“This domain name was registered on October 30 of this year, and its owners are not identifiable from public sources,” said RIA expert Veldre. According to Veldre it is really possible that someone in various ways collected telephone numbers published on Internet and put them in super database. “The situation is complicated by the fact that under the law of another country may be the case that such information gathering and serving is legal activity. I believe that the Data Protection Inspectorate have their say on this issue,” said the expert. Veldre added, however, that if it is confirmed that the database contains numbers that should not be publicly available and their owners confirm that they did not made their numbers public, them it maybe be possible to find out how these numbers were leaked. This entry was posted in Privacy and tagged Anto Veldre, Taavi Rõivas on November 26, 2014 by user469294. Europol reports that at least one arrest has been made in Estonia as part of an international operation against computer highjacking by Remote Access Trojans (RATs), led by the French police and coordinated through Europol. Apart from Estonia, people suspected of misusing remote access Trojans were also detained in the UK, France, Romania, Latvia, Italy and Norway. The UK’s National Crime Agency (NCA) said that criminals who successfully deploy RATs, can gain complete control over target computers. RATs are often deployed to spy on people via webcams, access banking or other personal information, download new and potentially illegal content, and use the victim’s computer to launch criminal Distributed Denial of Service (DDOS) attacks. This entry was posted in Cybercrime on November 24, 2014 by user469294. Tallinn University of Technology (TUT) opened a new Center of Digital Forensics and Cyber Security on November 12. The Center will offer technical advice, academic education and training programs, conduct cutting-edge research projects, and raise public awareness of cyber security risks. 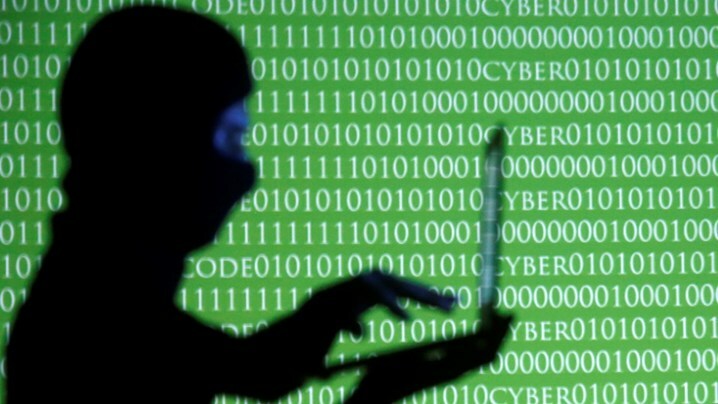 ERR news interviewed the center’s co-leader, Olaf Maennel, to learn more about the newly opened center and the cyber security issues, as well as about his personal connection to Estonia. This entry was posted in Opinions and tagged Olaf Maennel on November 21, 2014 by user469294. 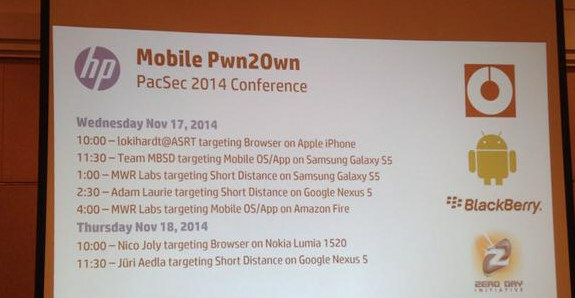 Researchers hacked several of the latest popular smartphones during the Mobile Pwn2Own competition that took place alongside the PacSec Applied Security Conference in Tokyo on November 12-13. The competition, organized by HP’s Zero Day Initiative (ZDI) and sponsored by BlackBerry and the Google Android Security team, targeted the Amazon Fire Phone, iPhone 5s, iPad Mini, BlackBerry Z30, Google Nexus 5 and Nexus 7, Nokia Lumia 1520, and Samsung Galaxy S5. Jüri Aedla of Estonia used a Wi-Fi attack against a Nexus 5, but failed to elevate his privileges, HP said. This entry was posted in Vulnerability Research and tagged Jüri Aedla on November 13, 2014 by user469294. Internet Voting initiatives are discussed around the world and the common claim made is that no successful attack against an Internet Voting system have ever been demonstrated. This is not the case anymore. Also, there has been a drive from Estonia to Taiwan to deploy national ID cards enabling paperless legal document systems. Important lessons are now learned about how not to do that. Two countries in the world have been deploying Internet Voting larger scale : Estonia and Norway. In Norway the deployment of Internet Voting was always labeled as a trial, leaving Estonia as the only prominent country to perform general elections deployment, in the last election, over 31% of all votes were cast over the Internet. After the recommendation of Mr. Hursti in October 2013, the Centre Party of Estonia invited an independent team of security researchers as election observers, a team of 4 international experts: Margaret MacAlpine, Jason Kitcat, Alex Haldermand and Harri Hursti. As a result, a variety of deficienies and vulnerabilities were discovered. Partially as result of publishing these discoveries, Norway announced the termination of their Internet Voting experiments, stating that the risks are outweighting the benefits. 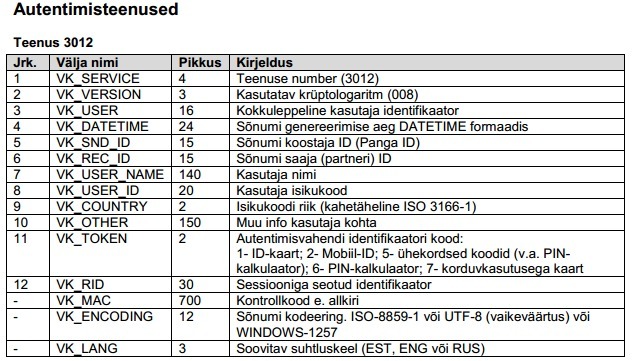 Estonia published a partial source code of their election system, namely they have published most of the server-side code, but without the client. This allowed the researchers to build a fully functional copy of the Estonian election system into a laboratory environment to develop and test fully-functional attacks. 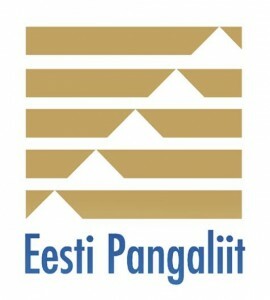 The Estonian government has also announced a new initiative: E-Citizenship. Under Estonian law, any document cryptographically signed with a National ID card is legally as binding as if the document were signed and notarized. Under the Estonian E-Citizenship initiative, non-residents and non-citizens can apply for E-Citizenship and enjoy various benefits for handling their business and lives as virtual EU citizen. The heart of this initiative is legal document handling with an ID card issued. 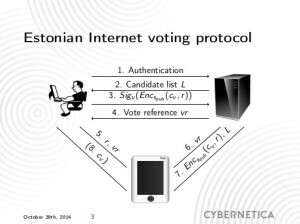 Client-side attacks developed and demonstrated against the Estonian Internet Voting system have extremely far reaching implications towards the heart and core of the Estonian E-government, and global implications as almost anyone can become an Estonian E-Citizen. This entry was posted in Conferences, E-government, Internet Voting and tagged Harri Hursti, Margaret MacAlpine on November 12, 2014 by user469294. Estonian banking association managing director Katrin Talihärmi said the most important changes concern the comfort and security. “Merchants now have much easier way to set up e-services. In the the past banks used a variety of solutions. Now you can use banklink service to accept payments from customers with similar technical solutions,” explained Talihärm. According to her, the banklink service is made even more secure, since widely implemented digital signatures allow to determine whether the customer uses for authentication ID card, Mobile-ID, PIN-calculator or code card. The new service allows for merchants to use also the IBAN format account numbers. During the transition period, which lasts until the end of 2015, banks will support both the old and the new banklink protocol format. The renewed specification is supposed to fix protocol level security flaws discovered previously. 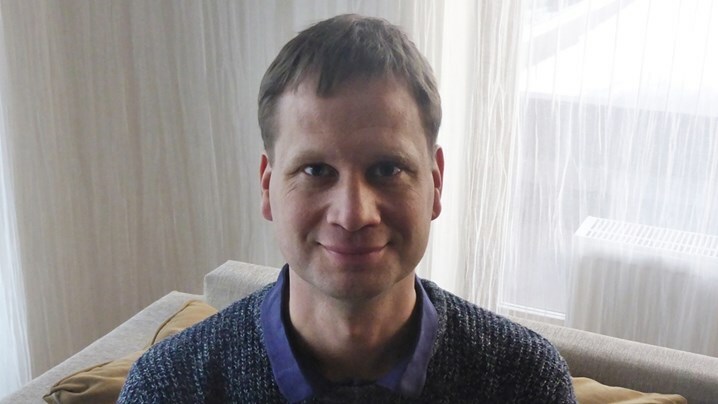 This entry was posted in Electronic Identity and tagged Arnis Paršovs, Katrin Talihärmi on November 11, 2014 by user469294. SK Annual Conference 2014 took place in November 6, 2014. 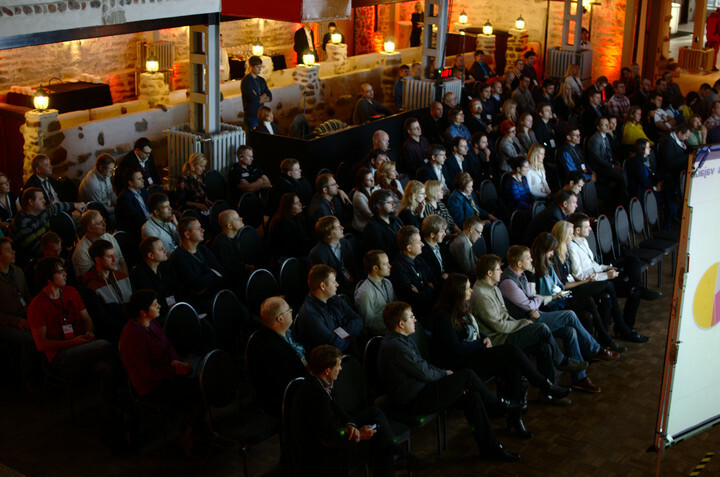 This entry was posted in Conferences and tagged Alev Ström, Andreas Lehmann, Jaan Kronberg, Jaan Murumets, Kalev Pihl, Kaspar Korjus, Liisa Lukin, Mait Heidelberg, Mikko Hyppönen, Tarvi Martens on November 11, 2014 by user469294. This paper introduces an extension to the Estonian Internet voting scheme allowing the voters to check the cast-as-intended and recorded-as-cast properties of their vote by using a mobile device. The scheme was used during the 2013 Estonian local municipal elections and the 2014 European Parliament elections. 3.43% and 4.04% of all Internet votes were verified, respectively. We will present the details of the protocol, discuss the security thereof and the results of implementation. This entry was posted in Internet Voting, Research Articles and tagged Jan Willemson, Sven Heiberg on November 2, 2014 by user469294.